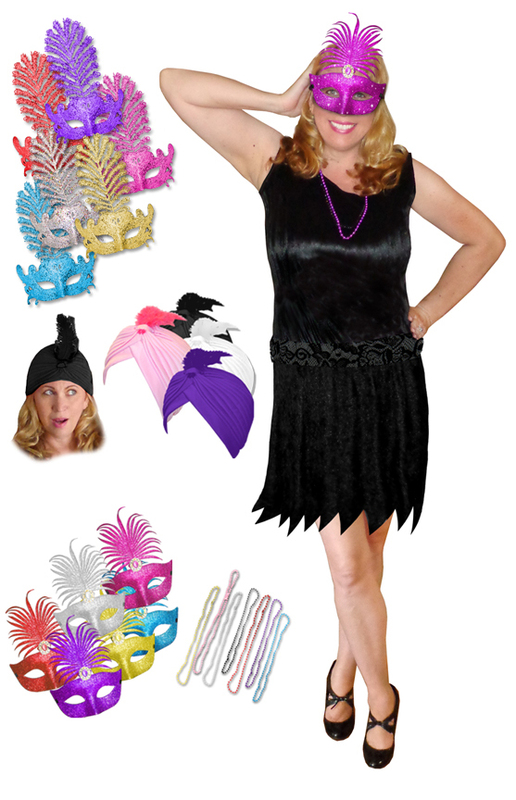 Get everything you need to be a Roaring 20's Flapper with this complete costume kit! This will be your choice of mask, either large or small, or a turban headpiece complete with feather! Each option offers a strand of matching strand of pretty color beads to pair up with your color of headpiece. Simple black A-line sleeveless black crush velvet dress, cut corners at the bottom, and a matching black lace belt. Turbans are a one size fits most adults. Mask has a satin tie.